Lovely presentation! Your props are eye catching. 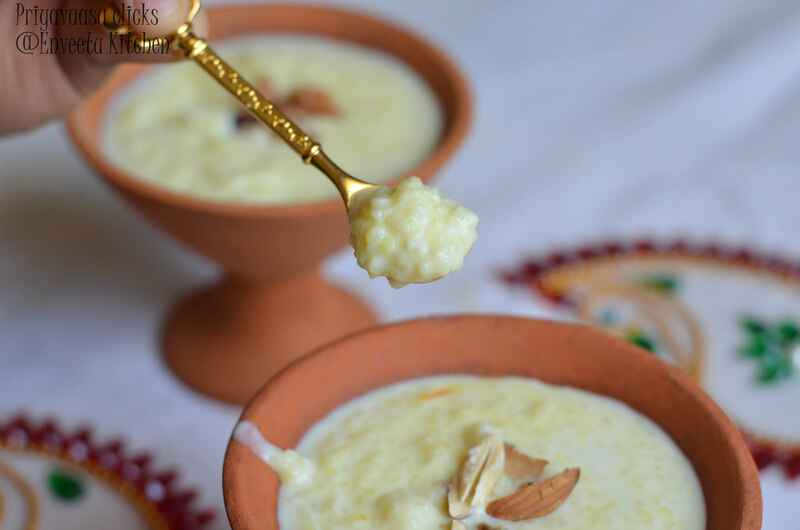 The kheer looks rich and creamy. Delicious kheer but never heard of jhangora what is it ?? Wow what a delicious payasam.... Just loved ur earthenware.. Where did you got them??? delicious payasam with kuthiraivali... it is indeed interesting to see a lot of millets used in authentic cooking!!! 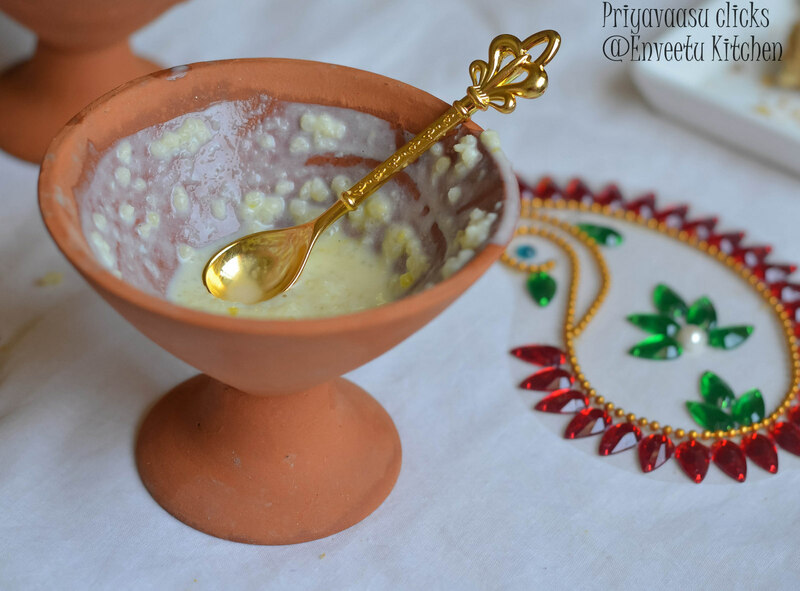 Seriously am in love with ur props Priya, jhangore ki kheer is just asking me to have some, so creamy and delicious. Same pinch..even I made this kheer..though yours look better.lovely recipe. Great presentation. Love the empty bowl!! 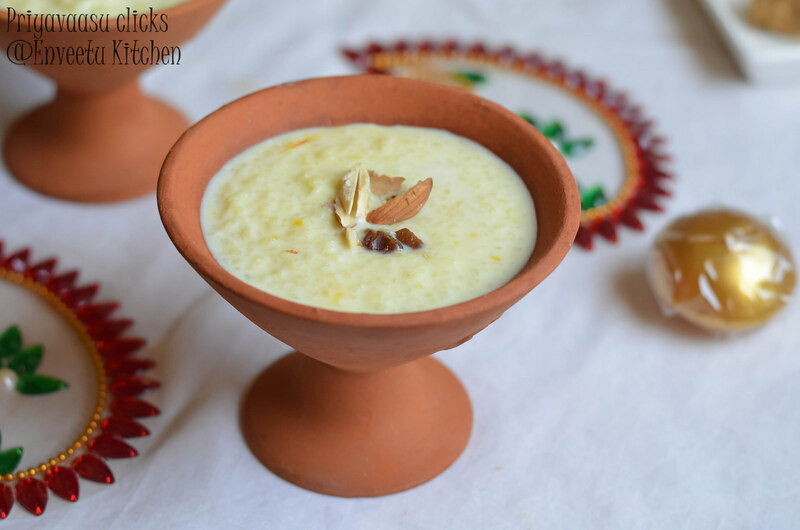 Jhangore is new to me, but this kheer looks so tempting and delicious. lovely terracota cups.. they look so pretty.. agree with poor man's food being the most nutritious food. 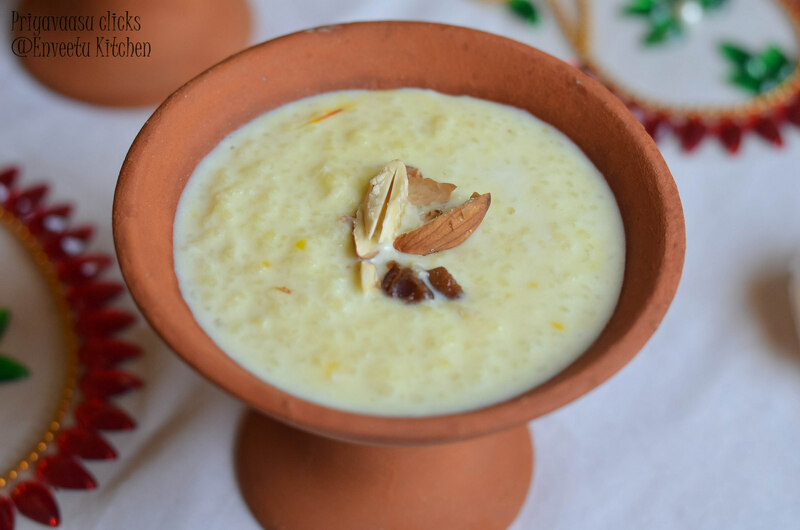 oh mai, that kheer looks sinfully delicious! Wow the kheer looks awesome the bowls are beautiful. 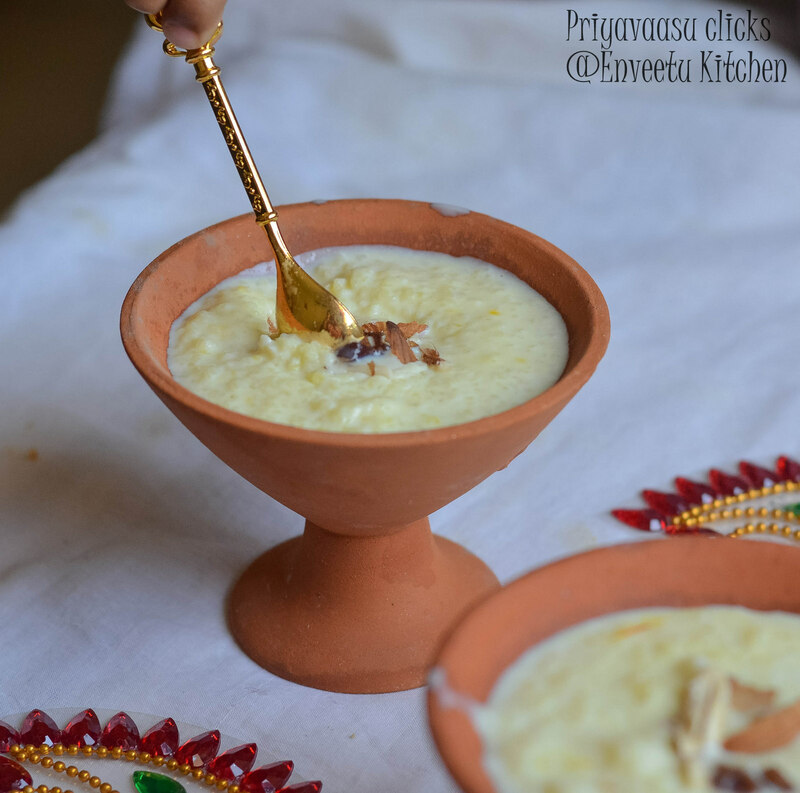 made kheer with millet before when doing bm theme of rajasthan but yours came out super creamy - think will like your version even better.